What is a Heat Pump? How Do Heat Pumps Work? Famed science fiction writer Sir Arthur C. Clarke once said that, “Any sufficiently advanced technology is indistinguishable from magic.” Certainly, when he made this quote, Clarke was thinking on a larger scale than the machines people use to heat and cool their homes. To our thinking though, there are few—if any—better examples in everyday life of technology as magic than the humble heat pump AC/heating system. 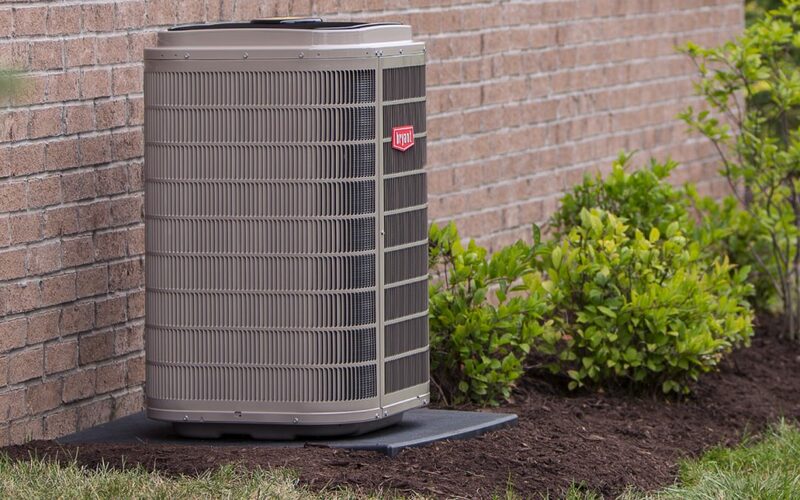 If you’re in the market for a new heating and air conditioning system, but are unfamiliar with heat pump systems, now’s the time to familiarize yourself with these magical marvels of tech. What Makes Heat Pumps So Magical? Heat pump systems are magical for more reasons than one; however, their greatest wonder is the amount of money they save. Just how “magical” are heat pump savings? Well, these systems can save the average homeowner up to 40 percent on monthly heating and cooling costs. Such savings may not amount to magic on a technological scale envisioned by Clarke, but we think most homeowners will be enchanted by the possibilities. Can a Heat Pump Cool My Home? Yes. The term “heat pump” can be somewhat misleading because heat pumps work similarly to traditional air conditioners when it’s hot outside: Through the use of a specialized refrigerant, both system types remove heat from the air inside a home and move it outside. Compared to traditional air conditioners, however, heat pumps are considerably more efficient at heat dispersal. This is why most homeowners will immediately see significant savings on warm-weather electric bills after installing a heat pump. Heat pumps perform their most impressive tricks during the colder parts of year. This is when these devices become “heat” pumps in the truest sense. How so? Even when it feels cold outside to people, there’s still sufficient heat in the air for a heat pump to extract some of that heat and “pump” it into your home. In contrast to traditional air conditioning systems, heat pumps move and transfer heat as opposed to generating it. This fact allows these systems to be far more energy efficient. Heat pumps aren’t without limits. When the temperature drops to extremely low levels, the outside air won’t contain sufficient heat for a heat pump to be the home’s only source of warmth. When this happens, a backup heat-strip array kicks in, generating supplemental heat to support the heat pump. This backup system generates heat in the same way a traditional electric air conditioning system does, causing overall system efficiency to drop. Fortunately, we don’t have many extremely cold days in South Central Texas. The Seasonal Energy Efficiency Ratio (SEER) provides a concrete measure of a cooling system’s overall efficiency over an entire season. The Heating Seasonal Performance Factor (HSPF), on the other hand, measures the energy efficiency of a heat pump. The higher a system is rated on both scales, the better. However, in warmer climates like ours in South Central Texas, the SEER is most important. To be eligible for a federal tax credit, a heat pump model must have a minimum 15 SEER rating and an HSPF of 8.5. Heat pump systems with a SEER of 16 or greater are eligible for GVEC rebates.